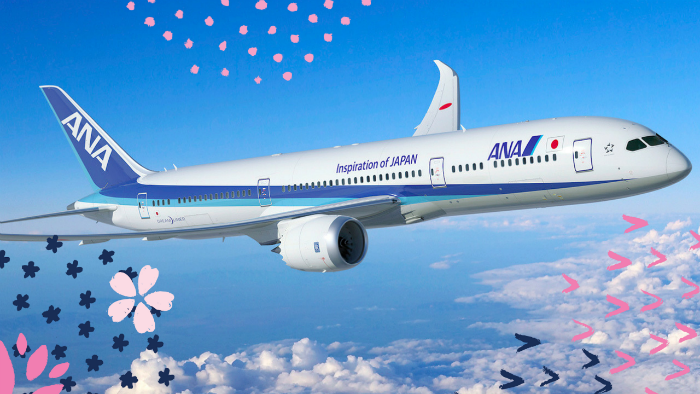 Win a Trip to Tokyo on ANA! One lucky winner chosen at random will receive a pair of economy class round-trip tickets to Tokyo from a U.S. ANA gateway airport. Simply complete the form and submit your information to be eligible. Once you click submit, you will be entered to win and given a unique URL. Share that URL with your friends to receive a bonus entry every time one of your friends use that URL to enter the giveaway. Fill out the form below to be entered. Giveaway closes April 14, 2019 at midnight. ANA was founded in 1952 with two helicopters and has become the largest airline in Japan, as well as one of the most significant airlines in Asia, operating 84 international routes, including 11 gateways in North America, and 121 domestic routes. ANA has been awarded the respected SKYTRAX 5-Star rating every year since 2013. Besides the full service and award winner carrier, the ANA Group has two LCCs as consolidated subsidiaries, Vanilla Air Inc. and Peach Aviation Limited. Together, the ANA Group carried 53.8 million passengers in FY2017 and has approximately 39,000 employees with a fleet of 264 aircraft. The National Cherry Blossom Festival is one of the world’s great celebrations of spring. The National Cherry Blossom Festival, Inc. is a 501(c)(3) not-for-profit organization dedicated to promoting the beauty of nature and international friendship through year-round programs, events, and educational initiatives that enhance our environment, showcase arts and culture, and build community spirit.